We offer a number of things for sale at the farm. Please note that all prices listed below are retail. For a wholesale pricelist, please be in touch. 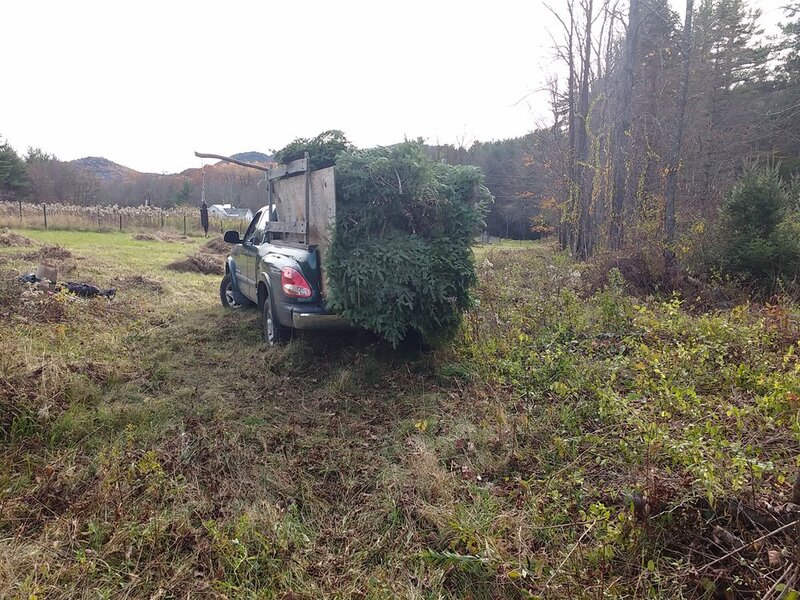 Most of the trees at the grove (and all trees for wholesale) are balsam fir. Trees are a flat rate of $30 for any size. They are chemical free and coppiced, and trees for wholesale are harvested either the day of or the day before delivery/pickup. We sell three sizes of wreaths: smalls are $20, mediums $25, and larges $30. They are all freshly tied by myself from balsam, and are stored hanging, never stacked so they don’t lose their bounce. They are decorated with either a bright or dark red bow (again, tied by myself), a bowl with a cluster of cones in the center, or (only available at the grove, not for wholesale) a spray of winterberries and cluster of cones. We offer 50 pound bundles of balsam to other wreath makers, whether you are looking for 4 for a Girlscout troop or 50 for a large garden center. All the boughs are tips, ranging from a foot to four feet, with a branch stem size no larger than my thumb. They are stored in the shade and are $0.60/pound, for $30/bale. My window for harvesting greens is always packed to the gills, so if you are wanting some, it is good to be in touch before the season begins (September or October) to ensure that I can fill your order. Please remember it’s just me.